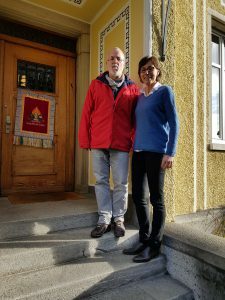 in Tibetan ROKPA means "help" and "friend"
EHLsmile officially handed over a fleet of 10 laptops to Mrs Corinna Biasiutti, Managing Director of the Zurich Association ROKPA. 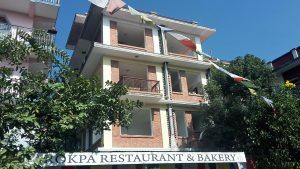 ROKPA is an association created in 1980 by Dr. Akong Tulku Rinpoche, Tibetan doctor, Swiss actress Lea Wyler and her father Dr. Veit Wyler, a well-known lawyer in Zurich. 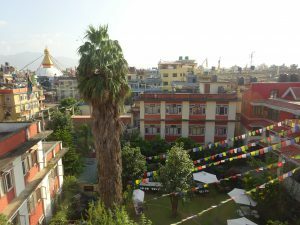 ROKPA is a non-profit organisation which has been active mainly in Nepal, Zimbabwe and South Africa for more than 38 years. Their projects help young people to gain an education, as well as supporting the destitute and the sick. They work with a large number of volunteers to keep running costs low and to enable them to commit as high a proportion of donated funds as possible to where they are most needed. In 2017, ROKPA embarked on the construction of a new building. This structure is intended, on the one hand, to increase the hotel capacity by the addition of 7 rooms and, on the other hand, to implement a training tool for hospitality professions for 20-30 local young people. ROKPA called on EHLsmile at the end of 2016 to assist with school planning and the implementation of various catering and accommodation programs. The planning assistance was provided by Adrien Rebord (aehl 2011) and the implementation of the courses will be carried out by Victor Jaton (aehl 2017), Camille Briffod (aehl 2017) under the responsibility of Andreas Baumann (aehl 2004). The trio will work from February to July 2018 to start classes and train local instructors. EHLsmile is already recruiting those who would be interested in participating in this project in July or August 2018.